Cultivate’20 will be held July 111-14, 2020 at the Greater Columbus Convention Center. For more information about this event, please visit OAF’s Website. For more information, please visit the Kentucky Florist Association website. 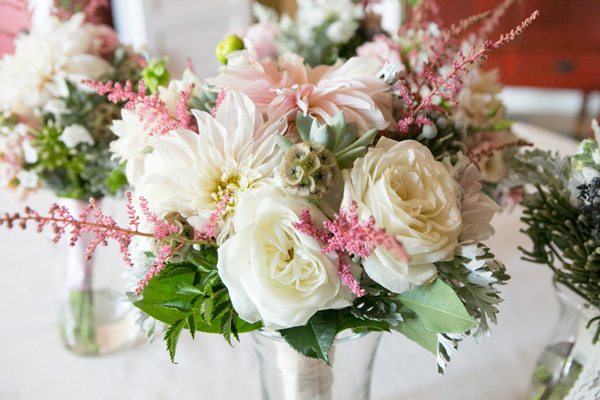 The Texas Floral Expo will offer two courses of study rather than an exclusive focus on design. The Design Course of Study and the Business Course of Study relate to the needs of the individual offering the best possible education whether your passion is design or whether you feel the need to expand your business skills. If design is your focus then you will be able to register for presentations that cover a multitude of design topics presented by the best in the industry. If you are all about business there will be two and half days of specific programming covering a range of topics! Additional information can be found at the Texas State Floral Association website. OAF Cultivate’19 will be held July 13-16, 2019 at the Greater Columbus Convention Center. For more information about this year’s event, please visit OFA Website. For more information on this event, please visit the AFID website. In today’s society, all products are judged by their convenience, and the smallest inconvenience can make or break any business. One simple convenience is the delivery of products this includes the delivery of flowers. 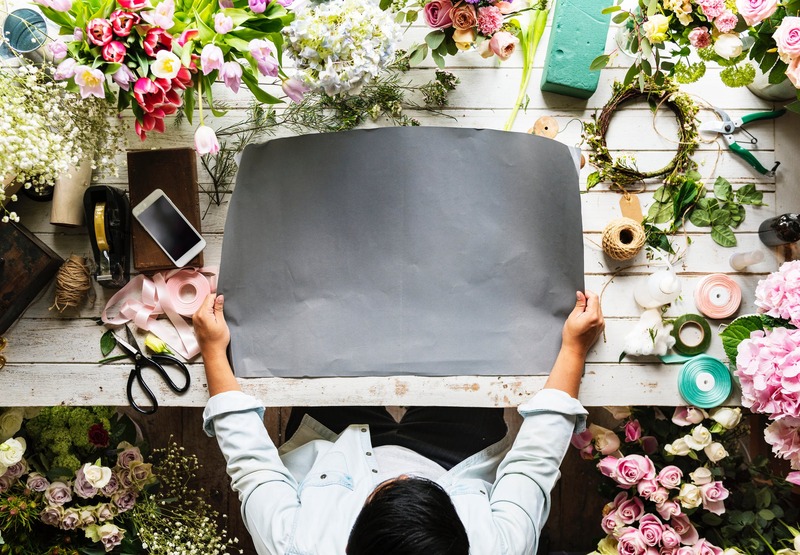 Of course, flower delivery has been around for ages and most florists provide this service, but when was the last time you sat down and gave your delivery policies and pricing some critical thinking? 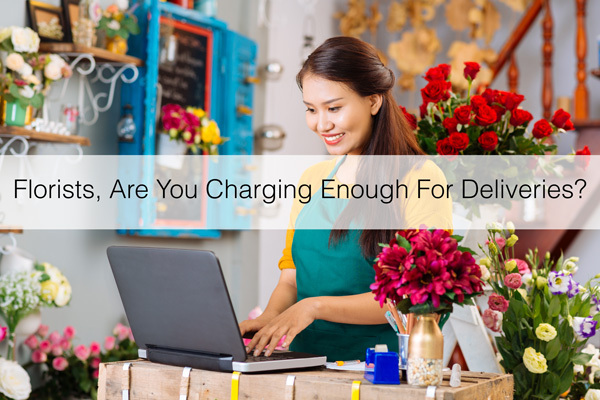 To truly know if you are charging enough for delivery, there should be a few things that we should keep in mind. 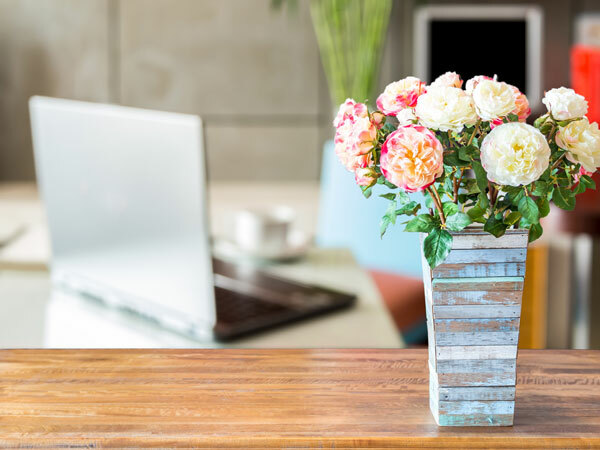 In the flower industry, which is highly local in nature, there is no one true “industry standard” for costs; your area is different from the others, and there may be considerations you have to make that other competitor and or businesses do not. How much are floral deliveries really costing you? To help you check if you are charging enough for flower deliveries, let’s look at the many ways delivery can cost you money, starting with the simple flower-only deliveries. As with all delivery jobs, you should take into account the distance from the shop to the destination. Ideally, you should have some sort of formula that helps you decide the amount you need to be paid for the number of miles/kilometers you need to travel. The driver, team, vehicular and road costs should be counted in, too. Things like parking tickets, rentals, and gas all fall into this category. To round up all the considerations, you should also consider travel time. 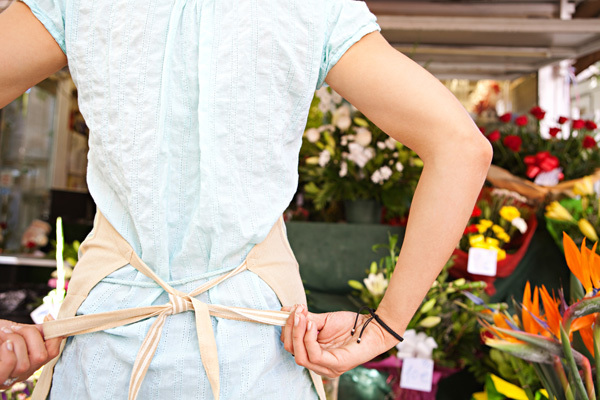 Should florists charge for special requests? With the previous considerations, you’ll see that distance and time are the immediate costs for each delivery and are thus the main things that will determine the delivery cost. Of course, time is a major factor for many customers. If customers ask you to go above and beyond for deliveries, why not charge for those requests? Express deliveries and or specified times are especially tasty offers for any customer on the rush. 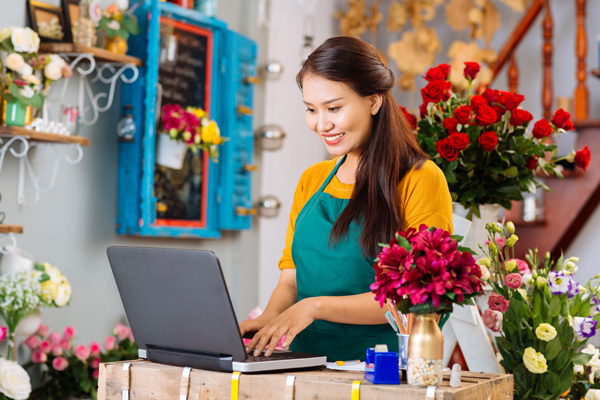 Offering these options can be helpful to the customer but to you as well as a floral business owner by increasing revenues. 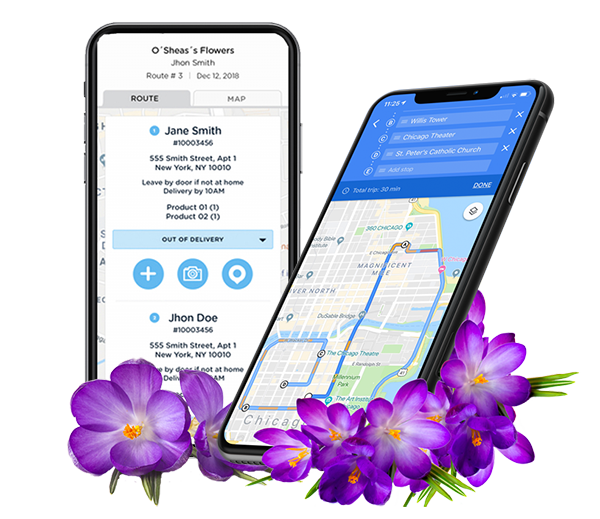 Deliveries can be made faster, easier, and smarter with Floranext’s New Advanced POS features – Delivery Manager, Giving your business and your drivers the tools for a better floral delivery experience. Are you charging enough for floral deliveries? Quantify all the considerations we had listed out above into money, and add a markup. This resulting number should be your delivery cost, at the very least. Florists should always add a markup to their delivery just like your arrangements, proposals, and or contracts. Delivery seems insignificant when compared to the other tasks that a flower shop does. However, when you look deeply into it, you might find that it might be the one thing costing your business rather than increasing revenue. Delivery is still ultimately a service that you provide to your customers, and thus it should remain profitable for your shop to stay sustainable. Florists, do your deliveries increase revenue for your floral business? Do you charge for special delivery requests? Share your thoughts and comments below! Floranext offers great florist software, florist POS, florist websites and florist wedding proposal software. Our florist technology products are built by florists, for florists. Let us know if you want a free demo or try our software for free here. Floranext’s New Florist Delivery Manager is the new solution to let your floral delivery blossom! Try Floranext’s New Delivery Manager Today! 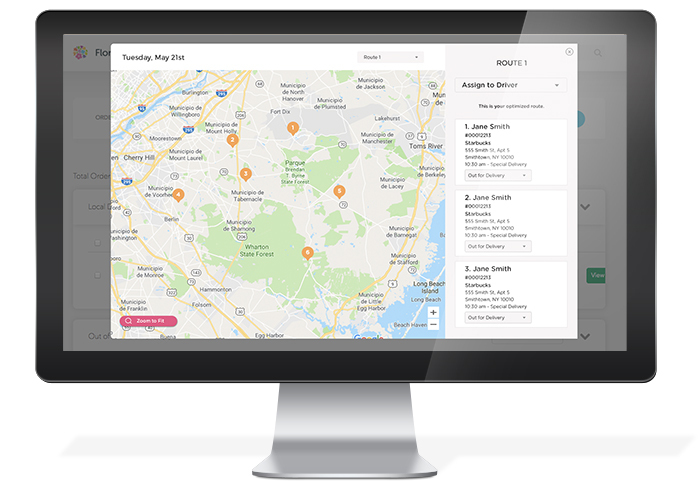 Easily re-route delivery stops by choosing which stops should come first before any others. 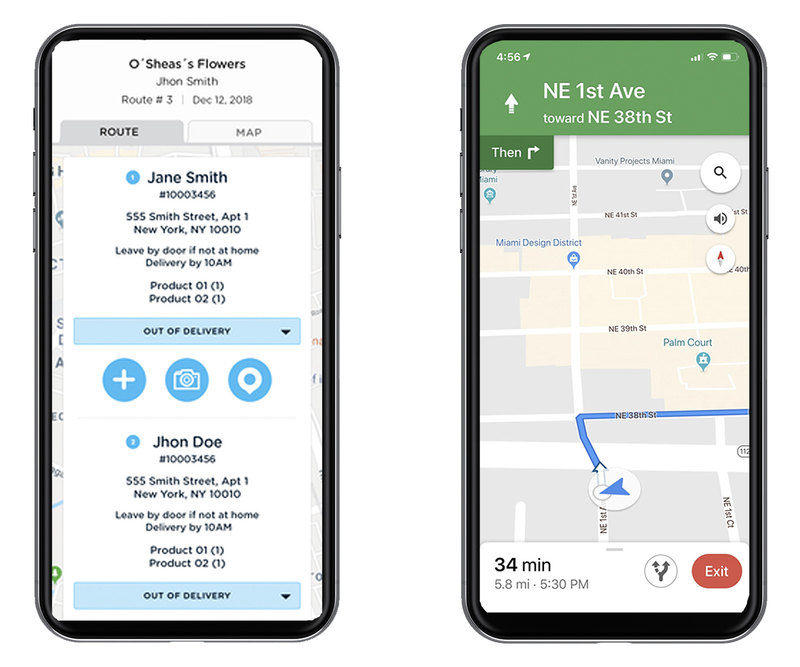 Your flower shop’s delivery drivers can use a smartphone to use the benefits of the delivery routing features like live status updates, turn by turn directions, and more. Enter in the business/home address and the field will begin to populate with information. Floranext makes great florist software. Florist websites, floral POS, florist wedding/event proposal software, and florist technology. Let us know if you want a free demo or try our software for free here. Celebrating the Past. Fired up for the Future. More information TBA – For more information, please visit the WUMFA website. 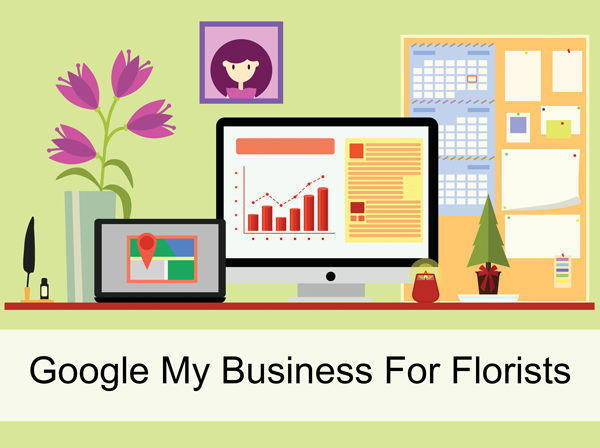 Using Google My Business is one of the best ways to improve your floral business website’s visibility. 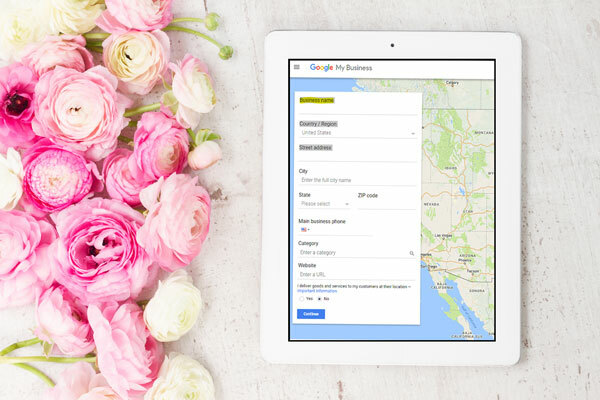 Google My Business (formerly called Google Places) is the number one platform for listing your flower shop on Google searches, and Google Maps! 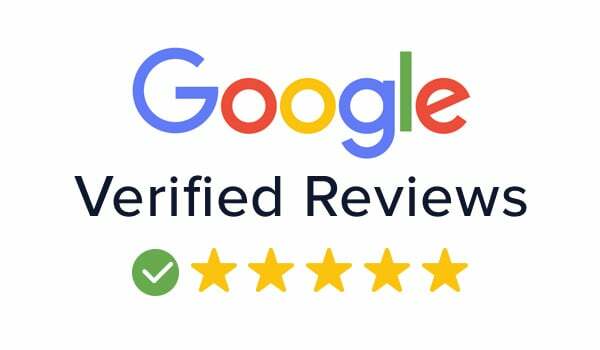 Google My Business allows you to improve your business’s credibility and visibility, by showing you are verified on one of the most trusted platforms on the Internet. 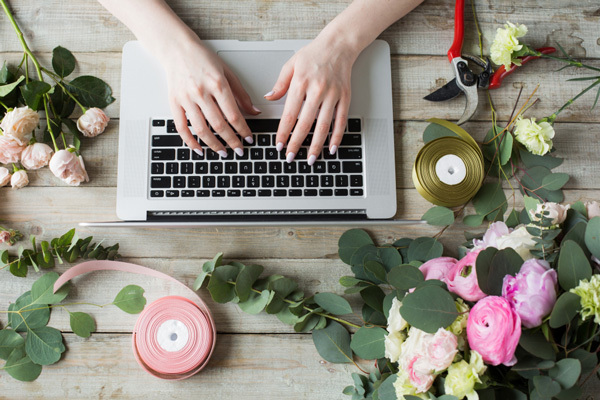 If you are just starting your floral business, whether or not you have a floral website set up or not, start your application here. Click Manage Now and enter your Business Name. Next, you will be asked if you want to add a location that customers can visit, such as a store or an office. If No (you do NOT have a physical location that customers can visit you at), just click No. Regardless of your answer, you will next be prompted to add areas that your business may service. Say Yes to this, and be sure to use the search bar provided to type in ALL applicable Delivery Areas for your Business. Next, you will need to choose a business category. Just start typing and you will see many suggestions pop up that could be applicable. You can only add one at this screen, however, it is easy to add more after you have completed signing up. Once you choose your category, you will be asked which contact details you’d like to show to customers. If you already have a website, go ahead and enter your Website Domain URL in the provided space. 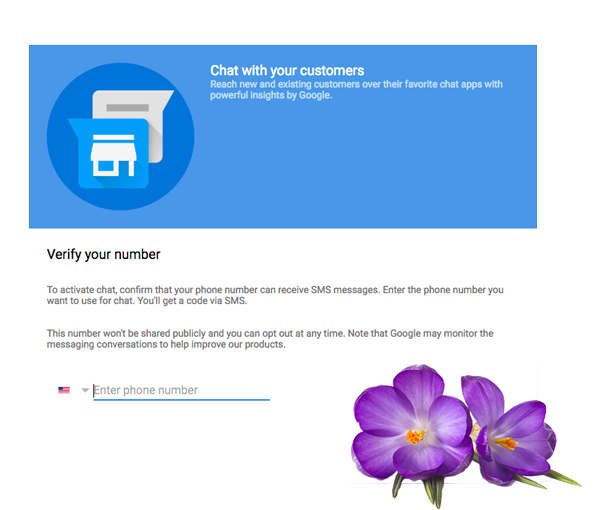 If you have a phone number for your business, go ahead and enter that as well. If you don’t have a website yet, simply select “I don’t need a Website” (you definitely need one, but not for the purposes of signing up here). You can add in a website later at any time by using the Info Section. Once you have completed the application process, you will likely be prompted to Verify your new listing. This is almost always done by sending a Verification Code by Post to your Business’s mailing address. Once you receive the Code in the Post, you can then enter that code onto your Google Business Verification page, to confirm the verification. This can take between a week, or sometimes two weeks for the code to arrive via post, so it is important to begin this process with Google My Business ASAP. You’re done! You now have a Verified Listing on Google Business, that will show up for customers who are searching for your type of business in your local search area! Now that we are signed in and verified on Google Business, let’s take a look at the various sections of the GMB Dashboard that will require our attention. 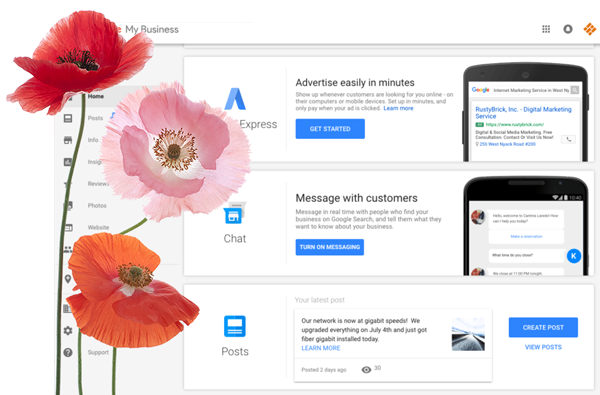 This will be your Main Hub for your Google Business dashboard. Here you can do a little bit of everything, such as: quickly see how your Business is displayed on Search and Maps, respond to reviews directly, answer questions, manage customer submitted photos, and create posts to share with your customers who view your business on Google Search. Google Business is constantly adding new features, and many businesses, small and large, fail to take advantage of them! The next section is going to examine some of the important features you can access on your Google Business Dashboard. Business Owners can now create Posts that show directly with your Business Listing when customers view it on Search or Maps. These posts can be used to advertise special Products (including a URL to directly buy from your site), or to notify your customers about Events coming up, or special offers you may have (such as coupons or discounts). There are lots of possibilities with this new function. Keep in mind, a post made here will only last for 7 days maximum, and can only be 1500 characters MAX. So it is important to be concise, and to have good timing with your posts! Consider this, if you have a promotion that coincides with a major holiday, such as this upcoming Mother’s Day! This is one of the most important pages for your Business Listing. Everything that is in the main column, under the Business Name, should be filled out ASAP. This includes: Business Name, Categories, Business Location, Service Areas, Hours and Special Hours, Phone Number, Website URL, Payment Methods Accepted, Short Description, Opening Date, and Photos. As a Business Owner, it’s in your best interest to make sure all of this is filled out. All of this information can be shown with your Google Listing. Service Areas: Previously Google prompted Businesses to choose a Radius on their map to indicate how wide their service area could be. Now GMB seems to prompt you to choose from Delivery Areas such as Cities and Zip Codes. It is advantageous to type in as many as are applicable to your business. Be honest, of course. But don’t short sell your business’s reach by only including your primary area. Opening Date: This one is applicable to up and coming businesses, that are still getting their ducks in a row. Our advice to you, start this as soon as you are able! Your Local SEO Ranking can be influenced by how much people engage with your Google Listing. If you start building this momentum before your business is even open, you may find that people in your area become aware of your business and ask you questions before it is even open! From this page you can quickly get a view into how people engage with your Business Listing on Google Search, and also Google Maps. When people see your listing from Search or Maps, do they call you directly? Do they click on your Website button? Do they ask for directions? Having this information can be helpful while you are getting to know your customers, and learning how people find your business. It is important to engage with the people that offer you reviews. Make sure to respond to both positive as well as negative reviews. Believe it or not, people take notice when they see that a business owner has responded personally to a negative review. Don’t just leave them there to rot, take the time to write a personal response, to show that you care about the quality of your business, and its reputation! Thank customers for their positive reviews, and encourage them to come back! Customers can now send messages to your Business directly from the Search page. This is a legitimate way to directly communicate with potential customers! You may find that people reach out to you directly through this Messaging function, make sure to pay attention to your Homepage, to see when you get new messages directly from customers searching online. Cover Image – This is the grand feature photo and should correspond to the services you offer. Product – Upload photos of your arrangements that you yourself have created for customers. You can also upload photos of the products as seen in your store. Why is Google My Business Important? There are so many reasons why all business owners absolutely must be on Google My Business, especially if your business is location specific. The biggest reason of all is the impact it has in increasing your search engine ranking, but below are some further reasons. Improved Search Visibility: Try any of these keywords in a Google search: city, state, florist, flower shop, zip code/postal code. Notice who comes firsts under the map. These results are Local Search Results, courtesy of Google My Business. You cannot pay to place in these results, but having a Google My Business profile will enable you to. 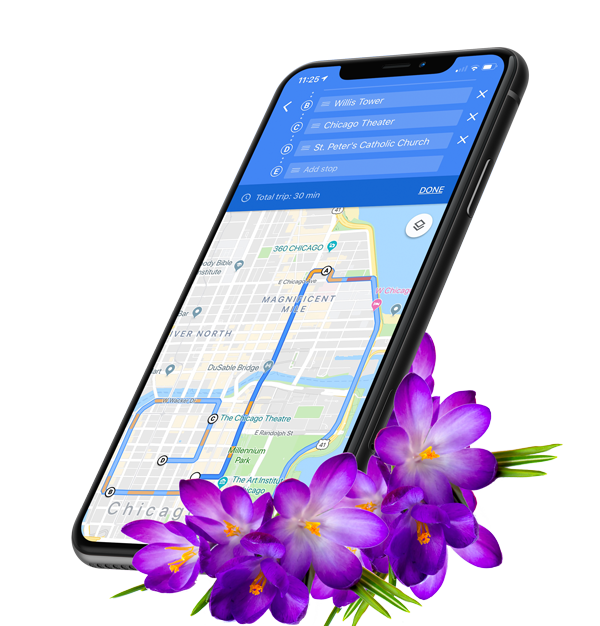 Maps Your Floral Business Location: This allows the customer to find and navigate to your brick-and-mortar store and website more easily. 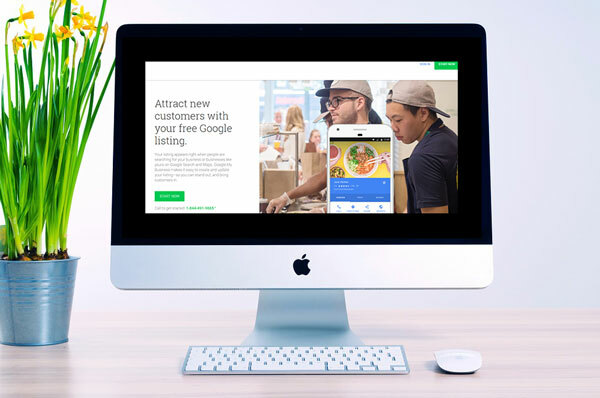 Allows for Customer Interaction: Google My Business allows for customers to interact with your business by leaving reviews and uploading their own photos. Every review counts, and every photo upload counts! How does it count? 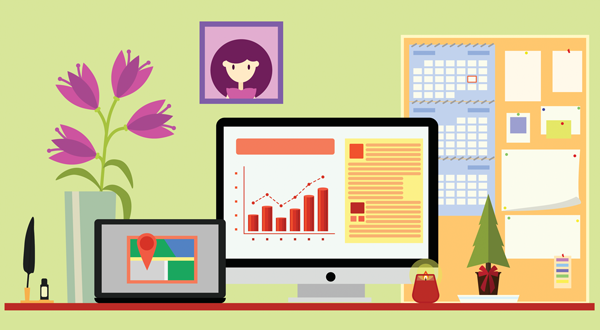 By improving your SEO, remember you want to list in the top 3 records on Google Local Search. 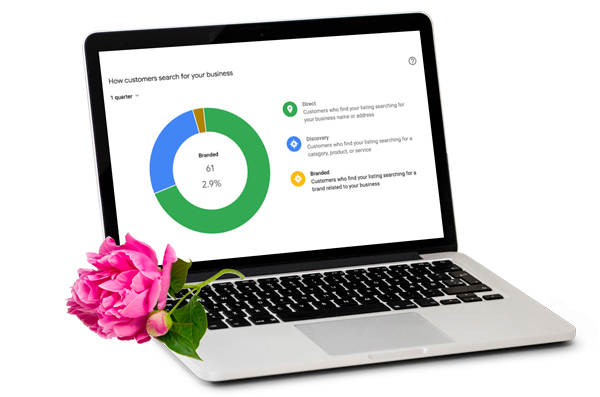 Florists, how has Google My Business helped your floral business in the past years? Please share your feedback in the comment section below. If you have any questions please post below as well! 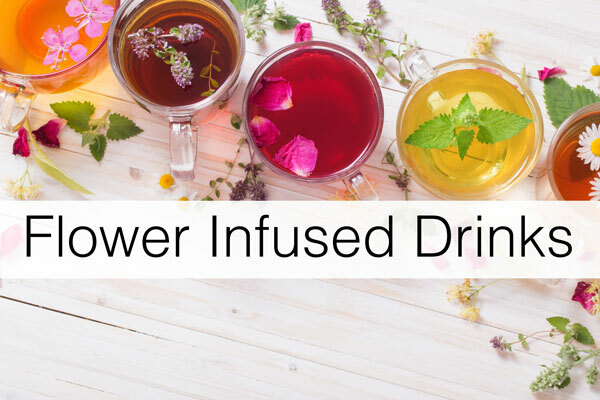 Flower-infused drinks have been around for centuries, but they’re enjoying new popularity today! 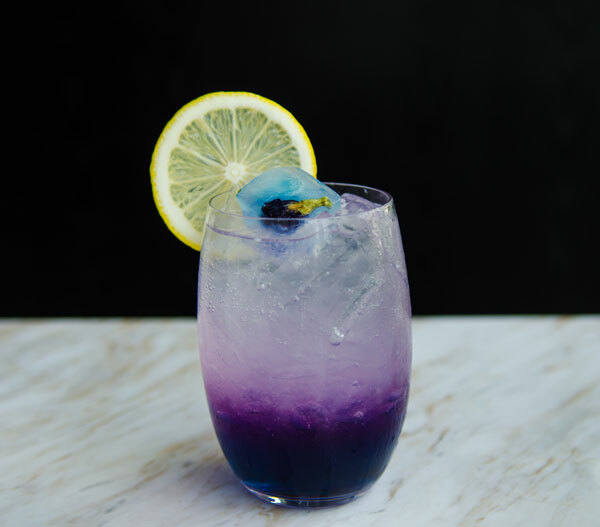 Over the last couple years you may have seen flower-infused drinks popping up more frequently at bars and restaurants, and on television, social media and more. 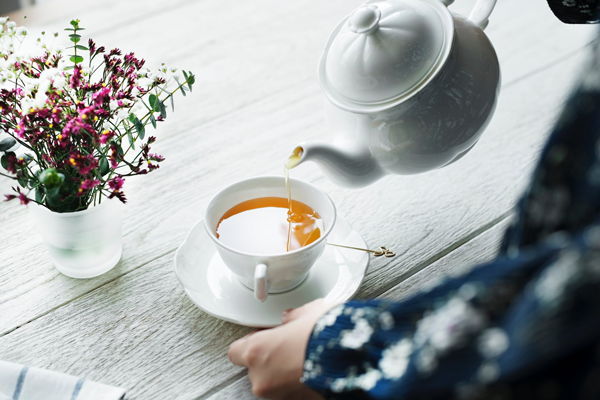 Flowers like rose, lavender, hibiscus, and daisy are leaving their mark on the shelves, but is this beneficial for florists? 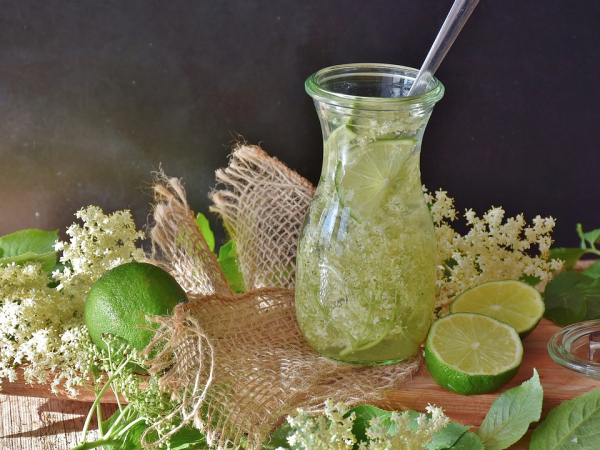 With Spring just now arriving, why not learn how to floral infuse not only food but beverages as well! Infusing floral notes into any beverage can be a simple process depending on the method you choose. Not only can you infuse flowers into drinks, but florals can use them as garnishes or rim dressing on glasses. Oils that give flowers, herbs, and spices their aroma, flavor, and other beneficial properties, are soluble in alcoholic spirits, which makes them the perfect mix-ins for a cocktail that is functional and gives you that artistic feeling! So what edible flowers give the best flavor, and which edible flowers pair with what? Think of it as an experiment! There are some tried-and-true floral infusers that work well, and a some that don’t pair well. You just have to try and taste. You may prefer some floral infusers over others. For a list of edible flowers and what parts won’t make you sick, please click here! Simple syrups are the best way to sweeten a drink. Use the basic 2-to-1 ratio of sugar to water, heated to a brief boil in order to dissolve the sugar. You can add any edible dried flower, herb or spice into the simmering syrup to extract flavor and aroma your cocktail. Dissolve sugar in water over medium heat, stirring occasionally, until it reaches a simmer. Place flowers in a nonreactive bowl (glass, enamel, or stainless steel). Pour hot syrup over top and let stand for at least 30 minutes. Strain mixture and discard flowers. 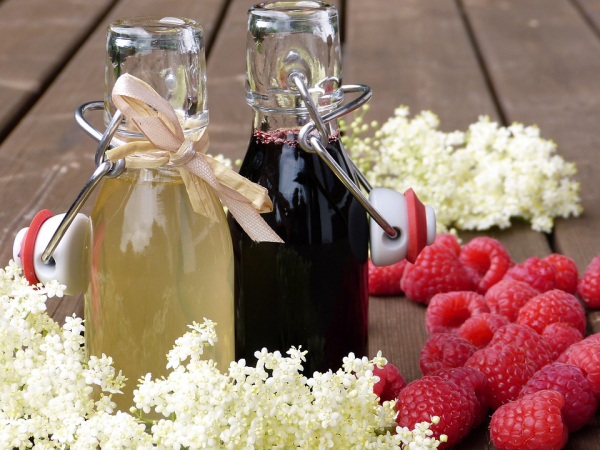 Simple syrups can be stored in the fridge for 1 or 2 months. If it begins to crystallize, simply heat it again until smooth. Some drink recipes call for a water mixer. 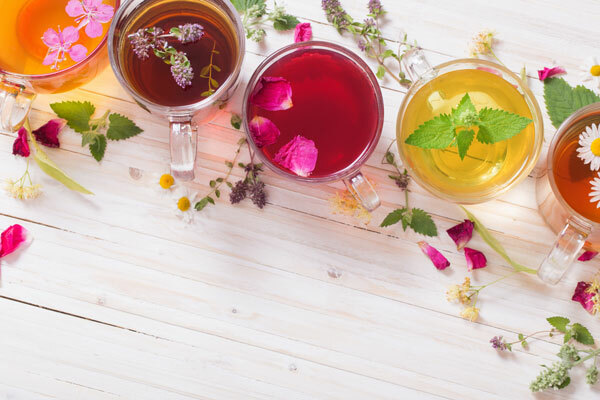 For water, mixer tries substituting the recipe with a tea-infused flower, herb or spice of your choosing and that best fits the drink you are making. Want to stock up for a warm day—amaze your friends, family, co-workers and more by freezing some of your floral-infused drink in an ice cube tray. Many of you have seen the sugar or salt-based garnish on the rim of a cocktail glass at restaurants and parties. This garnish is called a “rimmer” and it provides a sweet or savory garnish to enhance the taste of the cocktail. Place hibiscus flowers and vanilla bean in a saucepan with the cup of water and bring to a boil. After water is boiling, remove from heat, cover, and let sit for 20 minutes. Strain mixture to remove hibiscus flowers and vanilla bean. Add mixture back to pan and add sugar. Simmer for about 5 minutes until sugar is dissolved. Remove from heat and add lime zest, lime juice, orange juice, and tequila. Chill the mixture until it has cooled completely. Once the mixture is cool, pour over ice in a rimmed margarita glass (or freeze and eat as a sorbet)! Use zest of lime, hibiscus flowers, and salt to rim the glass. How Can Florists Tap Into This? So can florists really tap into this trend? It all depends on your source of flowers. Reach out to your wholesaler or flower market to see what flowers have not had chemicals or pesticides sprayed on them. These flowers can be used or sold for infusing with beverages, food, and decorating. Also, remember the 2019 unexpected trend of dried flowers we discussed last month? Well, this is another way to incorporate edible dried flowers in your business. So why not tap into this additional revenue source? 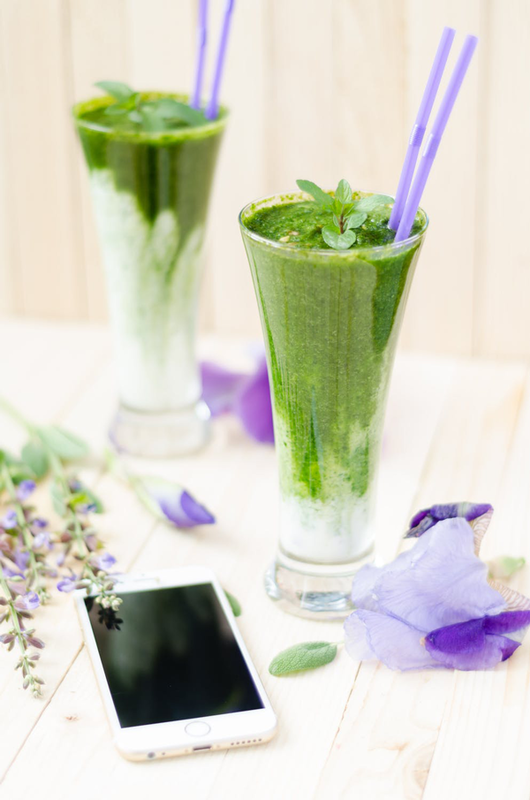 If the resources are there, this could be a great tactic is working with local restaurants, bakeries, bars, and more to offer edible flowers whether it be drinks or food. This is a great marketing tactic and gives those businesses a source to come to your business to purchase flowers and increasing your business sales. Florists, are you working with local companies in regards to edible flowers or seeing a trend in edible flowers? If so, share your comments below! 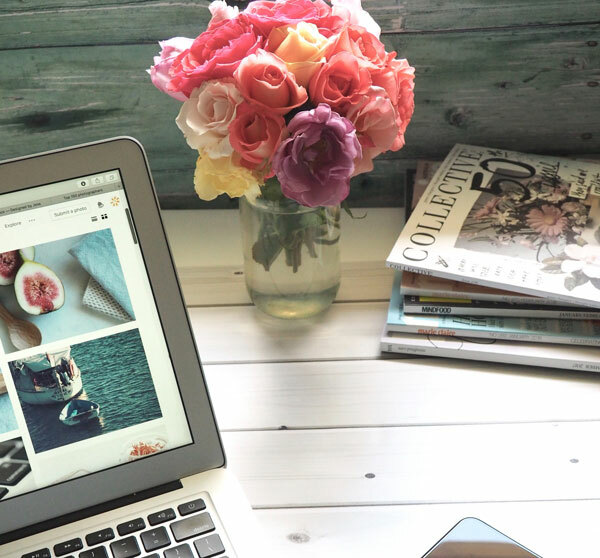 Try Floranext’s florist website, POS, and wedding / event software 100% for free!